Superdry women's Shelly schiffli vest top. 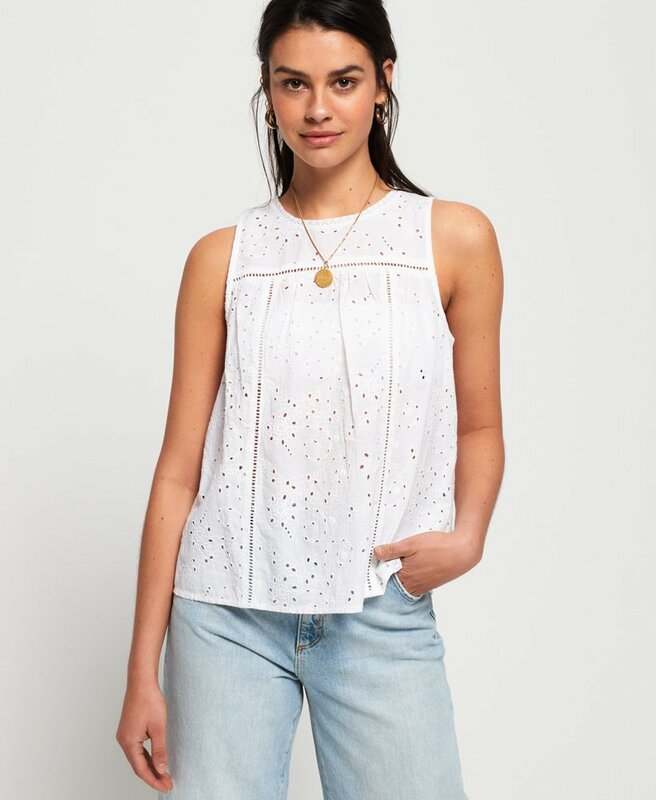 Update your wardrobe this season with this vest top featuring an all over lace design with a button down back fastening. Finished with a Superdry logo tab on the hem.